A Chiropractor is to your body what a mechanic is to your car. Your body is a finely tuned machine, capable of a staggering array of function. However, without regular maintenance, even the best machine will not work at peak performance. We offer multiple therapies and solutions to help you relieve pain and feel your best! 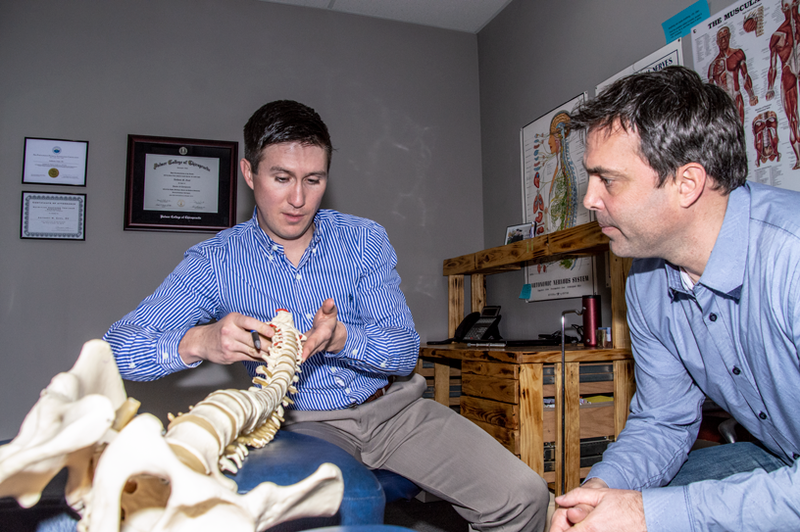 As Chiropractors in Denver and Bennett Colorado, we offer a holistic approach to much more than just back pain or sciatica pain. 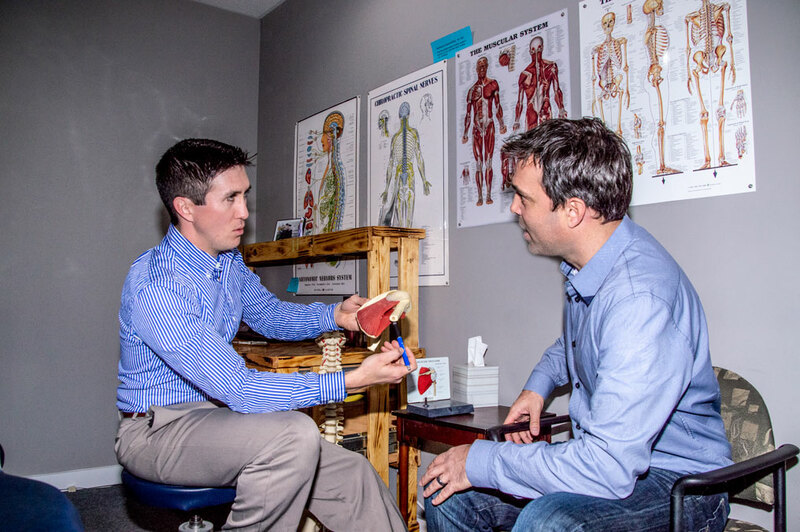 Our patients rely on us for relief and healing for everything from tennis elbow, to knee pain or shoulder pain, to sports nutrition, to arthritis, to… just about any discomfort or pain issue! We love being the first call by our patients when something doesn’t feel right, regardless of what their health conditions are – we make sure they get the care they need to feel better as quickly as possible. We are family, caring for family. It is who we are and what we do. GFC is a family-run business. Dr. Tony and Dr. Callie are a husband-wife team dedicated to your health. We approach your care as a team, with chiropractors and medical-based massage therapists collaborating to offer complete patient care. We help all ages of patients – from infants to elders, and in multiple cases we are working with four generations of the same family. We provide annual sports physicals for kids, recovery care after after car accidents or surgery, and help all ages with pain relief from acute or chronic pain. Our advanced Therapeutic Healing Laser Therapy (Low Level Light Therapy) helps relieve pain and speed recovery from injuries. We offer Nutritional Response Testing to help your body with its food needs during recovery for faster healing and improved wellness. 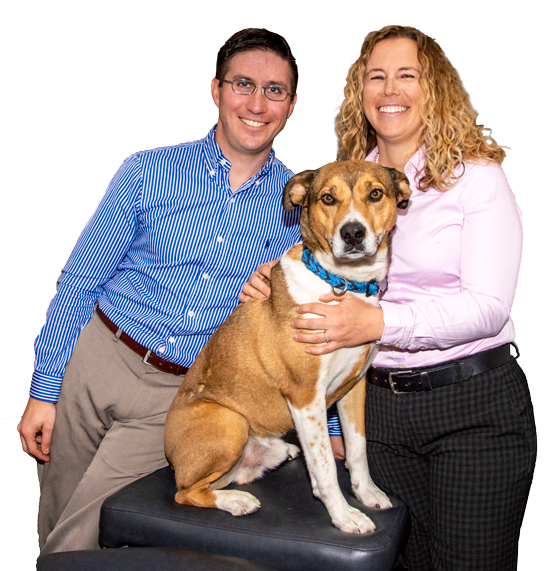 We offer chiropractic care, manual & massage therapy, laser therapy for pain relief, physiotherapies (ultrasound, ice, heat, e-stim, paraffin), sports physicals, nutrition counseling and supplements. Chiropractic Care offers a way to feel and live a better life with less pain and discomfort, with customized treatments that work for you. The benefits of medical-based massage therapy are numerous. Reduction in muscle pain, stress, elimination of toxins, and much more. 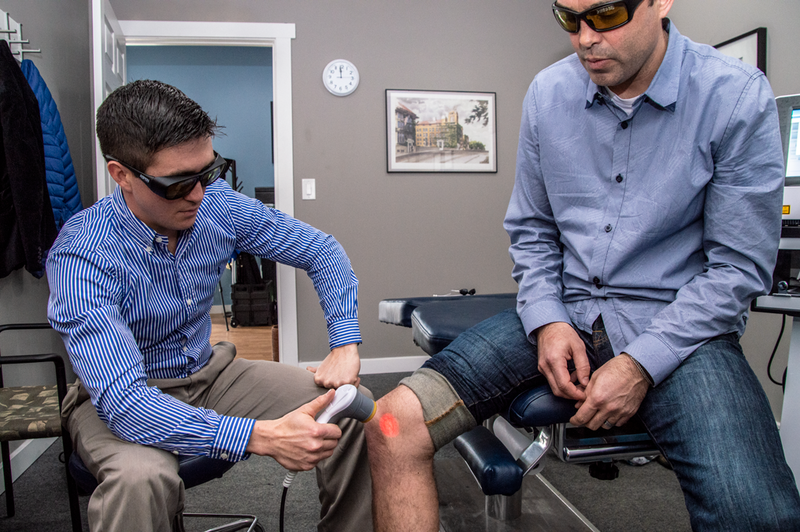 Laser Treatments for Pain relief have gone from “up and coming” to “here and now” technology, providing pain relief and faster healing from injury. 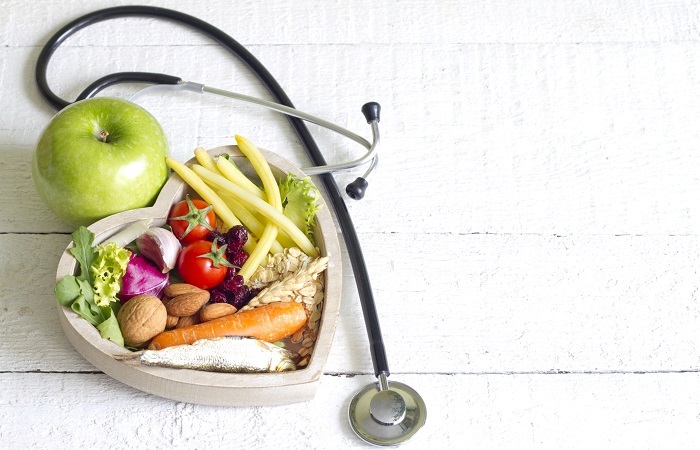 The primary role of a clinical dietician is to design nutrition programs to improve the health of patients for a better life. Physiotherapies include cold, heat, ultrasound, and electrical impulses. We offer multiple options for customized care. We’re licensed for Sports Physicals. Keep the health and well being of your child a priority while getting them ready to play! 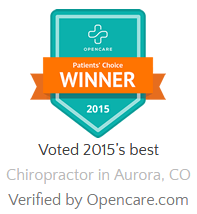 Call us for friendly care, and an individualized approach to your specific pain relief or health goals. We are an independent business with the time and flexibility to treat your unique needs. We have extended office hours Monday-Friday to accommodate your busy schedule. We can schedule your chiropractic and massage therapy sessions back-to-back, maximizing your care and minimizing your commute. rural communities deserve the same care as Front Range cities. who keep our community thriving. Pain Relief Is Just A Phone Call Away! Subscribe to the Gaul Family Chiropractic email list for health tips, news, and special offers!